American singer, songwriter and actress Morgan James takes the Starlite stage with songs from her album Reckless Abandon on April 8. 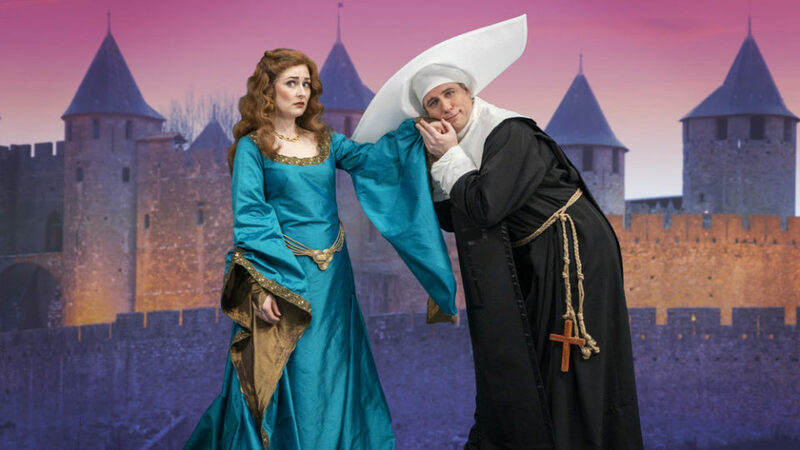 Rossini’s final comedy, The Misadventures of Count Ory, is full of naughty nuns, scandalous set-ups and way too much wine. Follow the love triangle between Count Ory, his cunning Page and a feisty Countess April 9 and 12 at the Jubilee Auditorium. Watch the big top adventure, The Circus — and hear the Charlie Chaplin-written score performed live by the Edmonton Symphony Orchestra — at the Winspear Centre, April 11. One of Canada and folk music’s best songwriters will share songs from his twenty year, dozen album career. Join David Francey at the Arden Theatre in St. Albert, April 11. Comedian Eric Johnston — who’s been performing on stage and screen since he was six years old — headlines The Standup Show at the Grindstone Theatre on April 12.